Writer Diablo Cody, who won a well-deserved Oscar for writing “Juno,” has fashioned a story that touches upon so many fascinating, important aspects of society, but the brilliance of the script is that she frames it all through one woman’s brief journey. When Mavis (Charlize Theron) discovers that her High School boyfriend, Buddy (Patrick Wilson) has just had a baby with his wife, she becomes convinced he needs “saving,” and returns to her hometown to win Buddy back. From there, the film isn’t focused on narrative momentum or conventional plot progression. It is a character study of one destructive individual as she tears through this peaceful small town, and though much of the story is about the past, Cody doesn’t have to rely on crutches like flashbacks to paint a vivid portrait of how one’s history influences their present. In particular, “Young Adult” examines the wounds of a damaged individual: where they come from, how they manifest themselves, and the coping methods one uses to suppress them. Early on, Cody suggests that America’s cutthroat, aesthetic-driven teenage culture may be the origin of many deep-seated emotional injuries. Mavis was, in High School, the popular, vain girl who ignored the majority of us but was adored nevertheless. Why? What forces gave her such constant reassurance? This is not made clear, but it is a lifestyle clearly celebrated. That’s why Mavis earns a living chronicling such tales in her novels and why the reality/talk shows she watches are so popular: many people find worth in petty adolescent angst, suggesting that much of America is just as emotionally stunted as Mavis. This is why, even though Mavis is a thoroughly unlikable human being, I never hated her. I felt sorry for her. How can one blame Mavis for who she was then or who she eventually became? If her actions were continually vindicated, why would we expect her to stop? If she has no outlet for adolescent urges as an adult, can we deem her alcoholism or icy demeanor truly reprehensible? There are no easy answers, but if Mavis is a victim, she may only be a minor casualty of this unhealthy teenage culture. The people we should really mourn for are individuals like Matt Freehauf (Patton Oswalt), a fellow former student she reconnects with upon arriving home. His life was utterly decimated in High School by a violent embodiment of the same vain, petty forces that put Mavis on her dark path. It’s no coincidence that Mavis and Matt hit it off so well – they are both broken, damaged people, products of an unhealthy culture, but they have made very different life choices. On the surface, Mavis is successful and Matt a loser, but looking deeper, their roles are clearly reversed. That’s another key theme Cody touches upon here: the gap between appearance and reality. I believe Mavis really is aware of who she is inside, but she suppresses the truth in favor of crafting a simple, beautiful surface image. It is simpler. Easier to grasp. Part of why she returns home is to flaunt her relatively empty successes. When people complement her, they aren’t saying anything nice about who she really is inside, but that’s okay, because Mavis only requires surface gratification. She spends copious amounts of time in beauty salons, dolling herself up before every encounter to create a pleasurable appearance, a comfortable mask she can hide behind. What she looks for in others may be even shallower. She sees Buddy, her beau of years past, not only as the handsome guy she used to date rather than the devoted family man he is now, but as a projection of the life she wants to recapture, the life story she has written but cannot grasp. I have spent most of this review discussing the themes and messages of “Young Adult” because, critically speaking, there is little else to talk about. It is a writer’s film, and as the numerous conversations I have touched upon should attest to, Cody has done a fantastic job making us think. The maturity Cody displays is truly remarkable; though “Juno” will rightfully go down in history as one of the all-time best teen comedies, “Young Adult” works on such a vaster thematic and emotional canvas, and Cody is even brave enough to abandon the innovative dialogue style of “Juno” in favor of the down-to-earth, realistic speech this story requires. Though director Jason Reitman is, in my mind, one of the great modern American filmmakers, it’s Cody who deserves the lion’s share of the credit for the film’s creative success. That’s not to say Reitman’s work isn’t strong; it’s marvelous, but it’s meant to be transparent, the filmmaking giving us nothing more than a window into Mavis’ life, a clear cinematic expression of Cody’s work. He does that brilliantly. 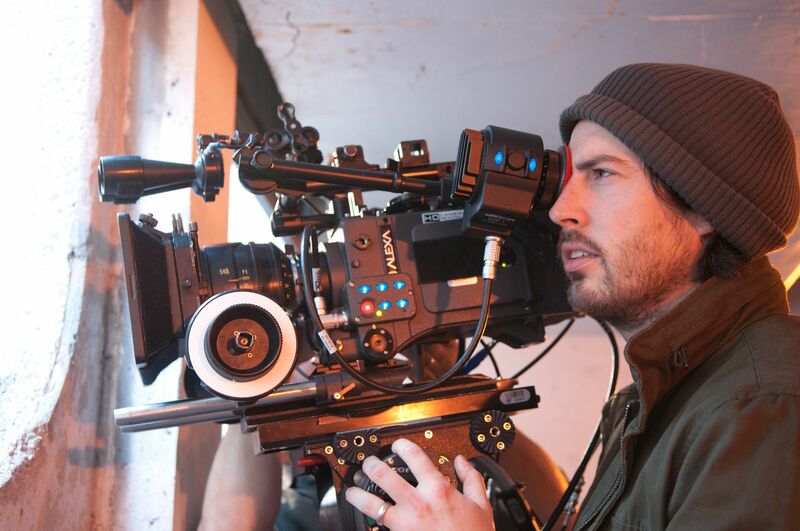 For both Reitman and Cody, this is another significant step forward in their already impressive careers. The performances are, of course, invaluable. Charlize Theron is an actress willing to go anywhere, to probe the emotional depths of a troubled mind while retaining a recognizable, palpable sense of humanity. For an unflattering character like Mavis, Theron is the best and only choice, and she hits this one out of the park. Mavis is a largely internalized character, and Theron is terrific in the silently expressive moments, but in the climactic scene where everything she’s bottled up finally bursts forth, she’s even better. 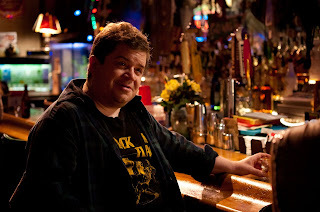 Patton Oswalt is every bit her equal as Matt; it continues to amuse me that such a great comedian can be such a wonderful dramatic actor, and though he certainly gets the film’s biggest laughs, he’s also at the heart of the biggest emotional wallops. He and Theron both deserve serious Oscar consideration. “Young Adult” is a film destined to inspire many long, meaningful conversations about growing up, emotional damage, and more. That is its power, but I also suspect it will be its curse. Most audiences will no doubt reject the film outright because they suspect a comedy out of Reitman and Cody, and “Young Adult” absolutely is not a comedy. If you like your time at the movies to be light and cheerful, see something else this weekend. “Young Adult” will not be your cup of tea, and I won’t begrudge you that decision for a minute. But if you are looking for a smart, contemplative, thought-provoking examination of damaged and detestable individuals, people who exist in all of our daily lives, “Young Adult” will be a revelation. “Young Adult” will open in theatres nationwide on Friday, December 16th.